Carley Kauble is a Senior Product Manager at Asurion, a technology company providing protection and support solutions for major wireless carriers, cable providers and retailers. In her current role, she is responsible for driving the product growth strategy for a major wireless carrier. Prior to Asurion, she spent nine years with Rockwell Automation as a simulation consultant, sales account manager and a product manager. She received her Bachelor of Science in Industrial Engineering and her MEM degree both from Northwestern. Carley feels the MEM program provided her with the tools she needed for career growth. The program allowed her to confidently understand and speak the business language while also strengthening her engineering foundation. From day one, she could apply what she was using in the classroom to her work. No matter where she has been in her career path since MEM, she has been able to leverage her learnings. For example, during her time in the MEM program she was primarily working in the manufacturing industry. Coursework such as Factory Physics and Supply Chain Management had a big impact on her ability to quickly understand her clients and create the right solutions. Currently, her focus is on product strategy where she leans heavily on the Strategic Management coursework. She feels she would not have been ready to take on a product management role without the MEM program. Two of her favorite classes were NUvention and Strategic Management. She believes NUvention was a unique opportunity to work with students in other disciplines towards a common goal of new product development in healthcare. And when it comes to Strategic Management, Carley feels Don McNeeley’s passion and experience are unbeatable. Her word of advice to MEM students is to take advantage of the resources available as part of the Northwestern community. MEM faculty go above and beyond for their students. 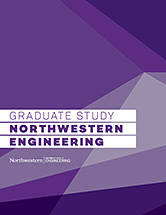 Students should take the time to get to know the faculty and leverage the Northwestern network. For perspective students, the MEM degree is a great differentiator versus an MBA. Carley feels being able to speak the language of engineers and the business across an organization will serve students well. Carley really loved getting to know her MEM peers and the faculty. She feels the program attracts a diverse set of students which made classroom time and group projects very interesting and fun!